Microsoft has taken customer relationship management (CRM) to the next level. Indicative of infinite possibilities, xRM provides businesses with a 360 degree view of relationships with customers, employees, suppliers, partners, assets, knowledge bases and beyond. This comprehensive look at what’s going on inside your business empowers you to make better decisions while handling day-to-day operations as efficiently and effectively as possible. Enhanced Automation – Save time and money. xRM can automate tasks that would otherwise need to be completed manually. Fast Deployments – Stop building LOB software from scratch. Software plug-ins work to improve the functionality and flexibility of the CRM system. User-Friendly – If you’re familiar with Microsoft Office, you can use xRM solutions with ease. 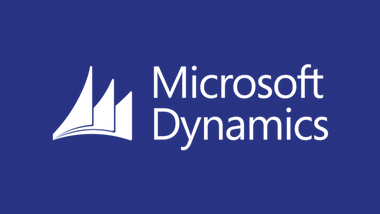 Reliable Native Features – xRM solutions is founded on Microsoft Dynamics CRM, which enables users to take advantage of powerful workflows, data modeling, reporting and web services. Integration – xRM solutions are easily integrated with existing systems so that you can move away from dated technology without losing valuable data. Scalability – There’s no one-size-fits-all solution here. xRM is fully scalable and can meet the requirements of organizations both large and small. Security – Never worry about sensitive data being accessed by unauthorized parties. xRM features robust security features throughout for your peace of mind.